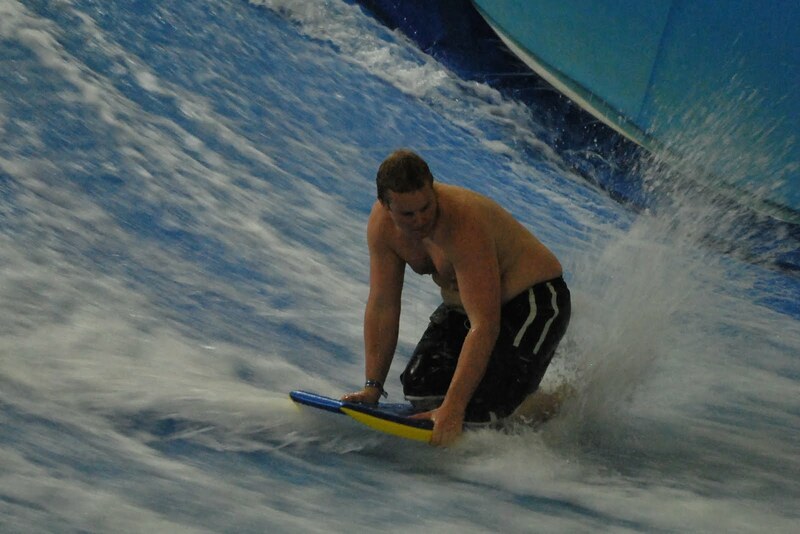 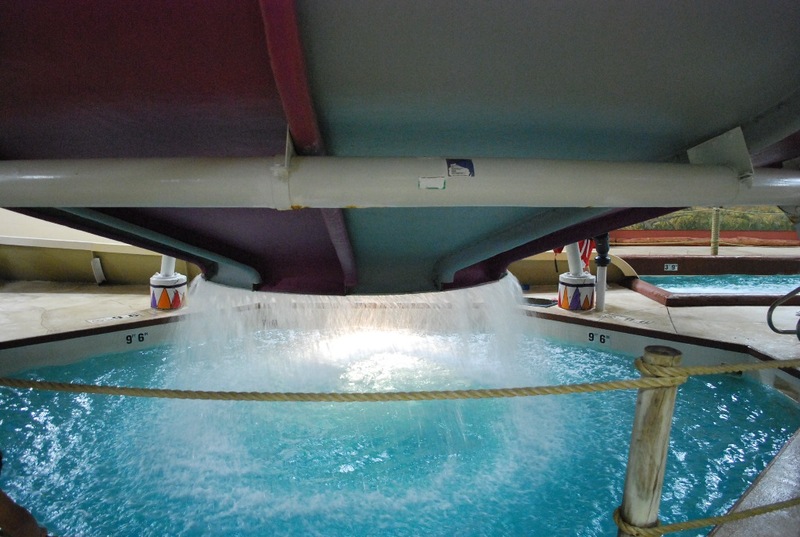 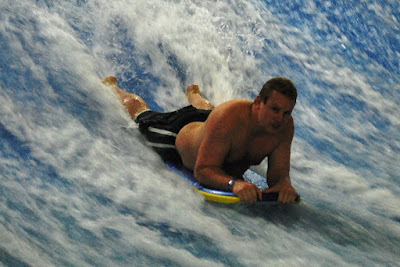 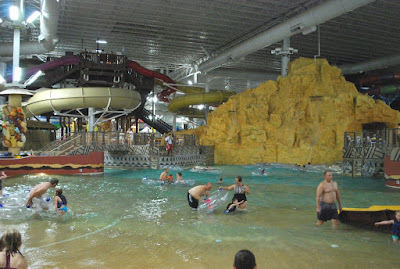 This is the wave pool. The lazy river flows in and out of it. Back to the slides. 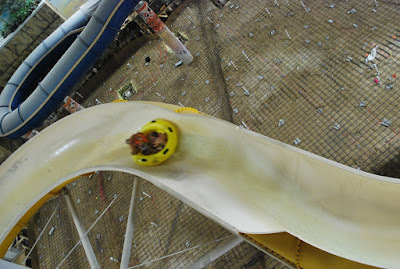 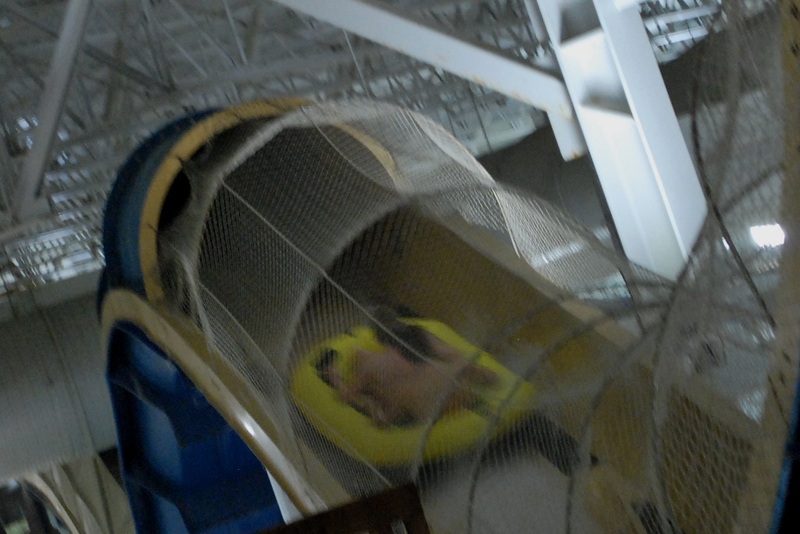 Both of these are body slides. 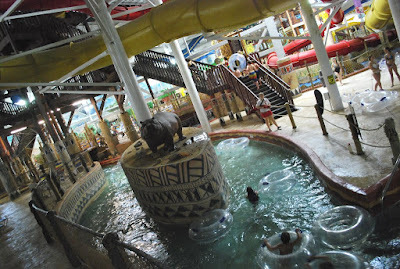 Elephant's Trunk (red) and Zig Zag Zebra (yellow). 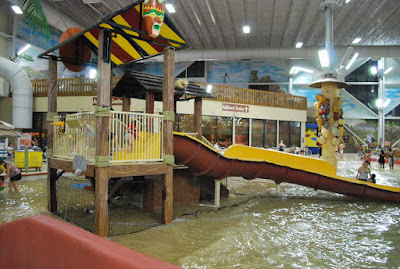 The tube actually travels outside (it's enclosed) the park. 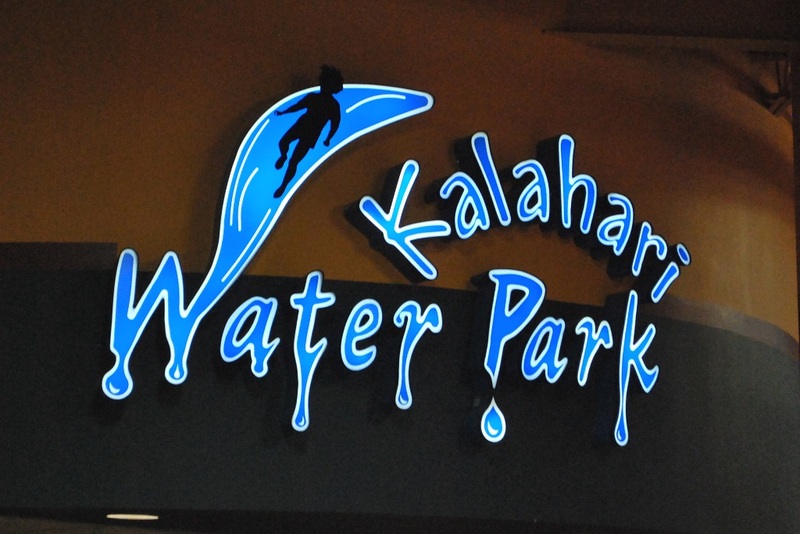 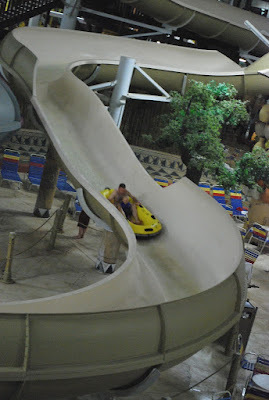 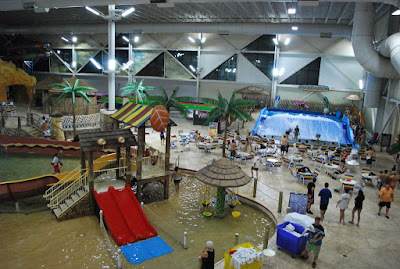 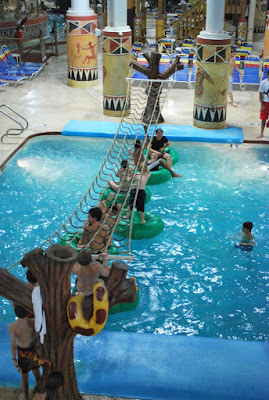 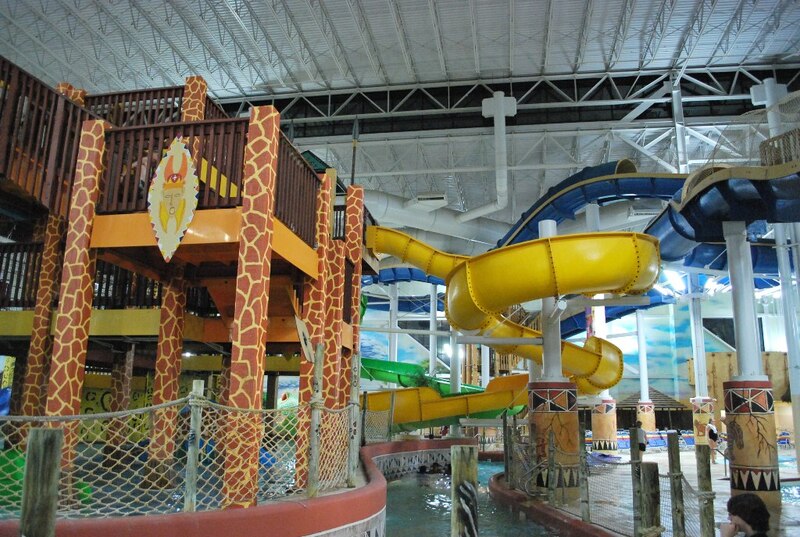 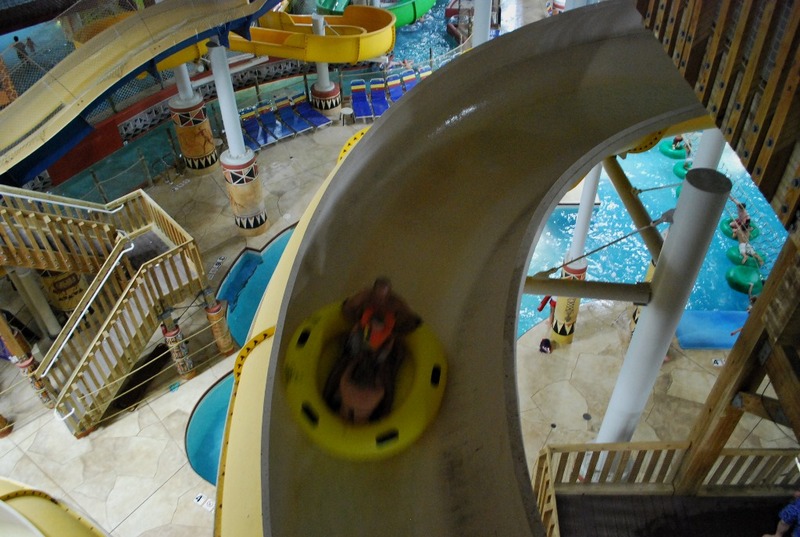 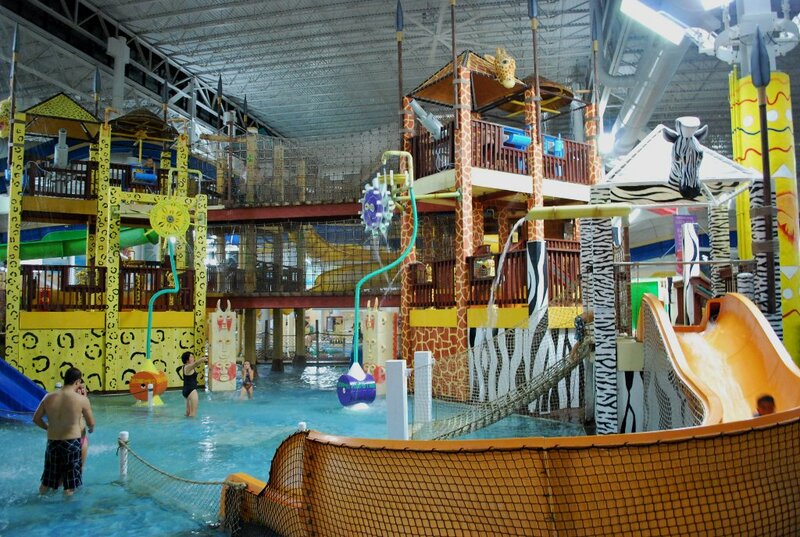 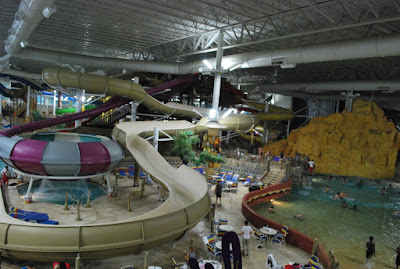 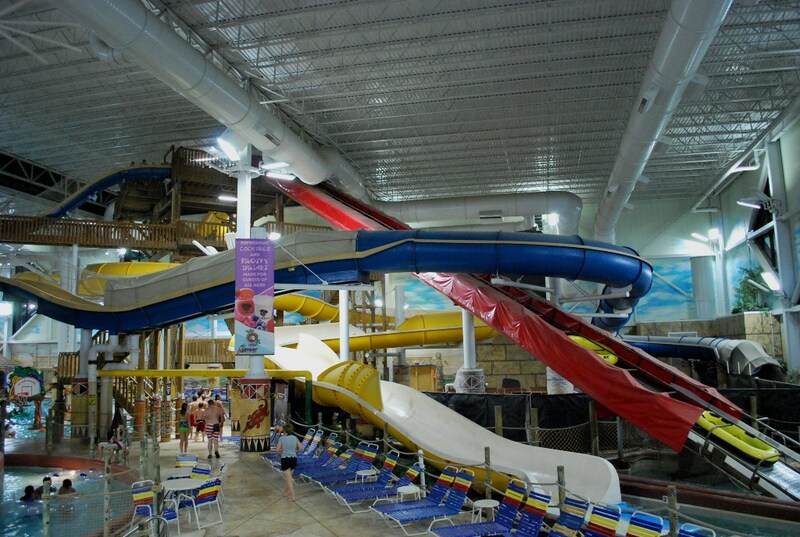 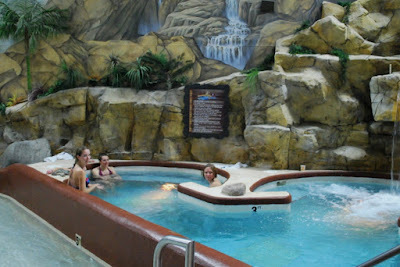 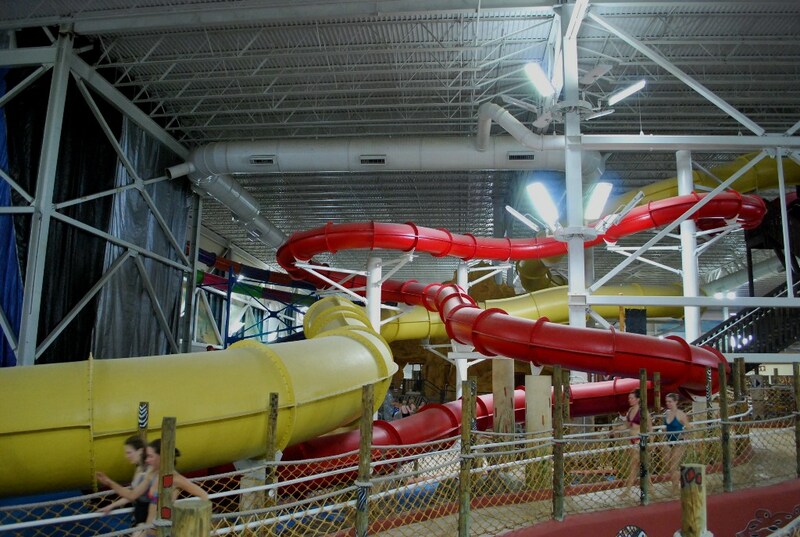 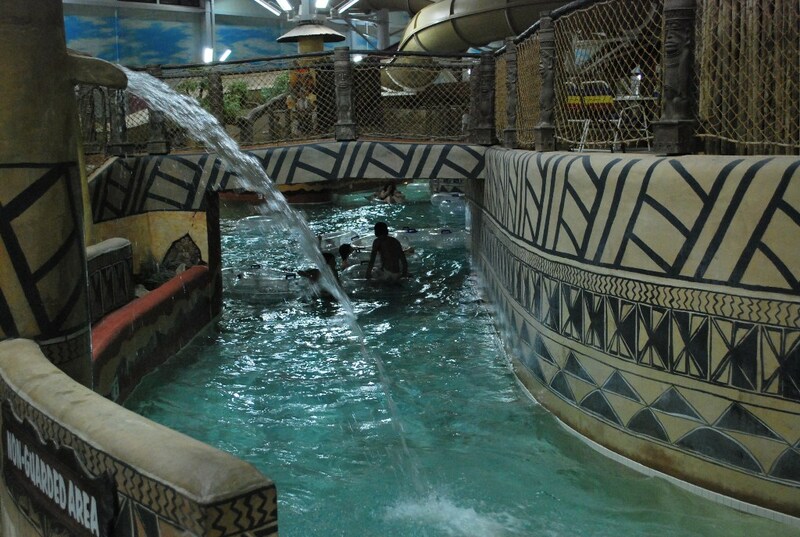 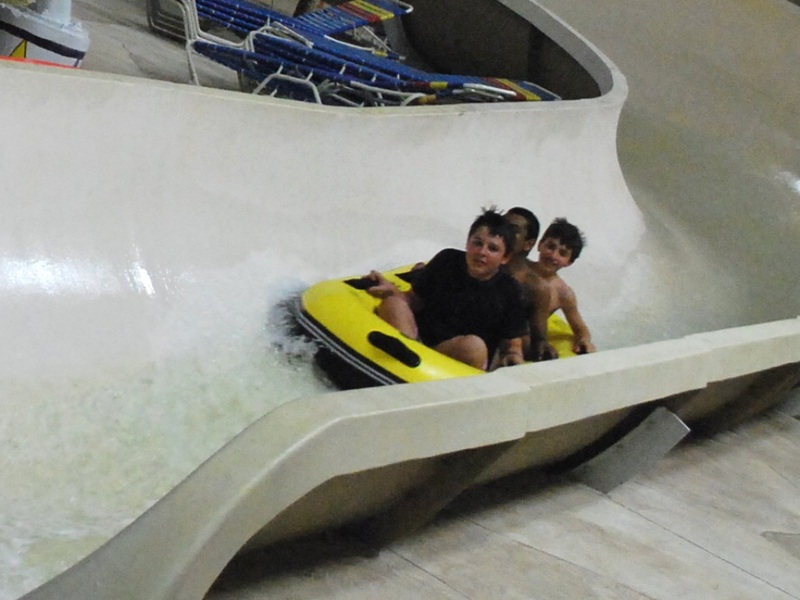 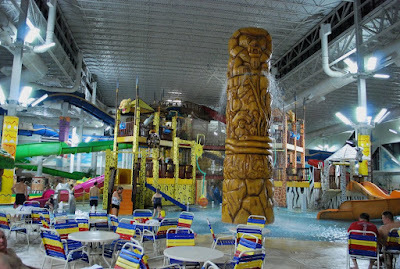 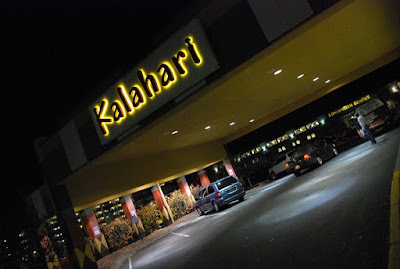 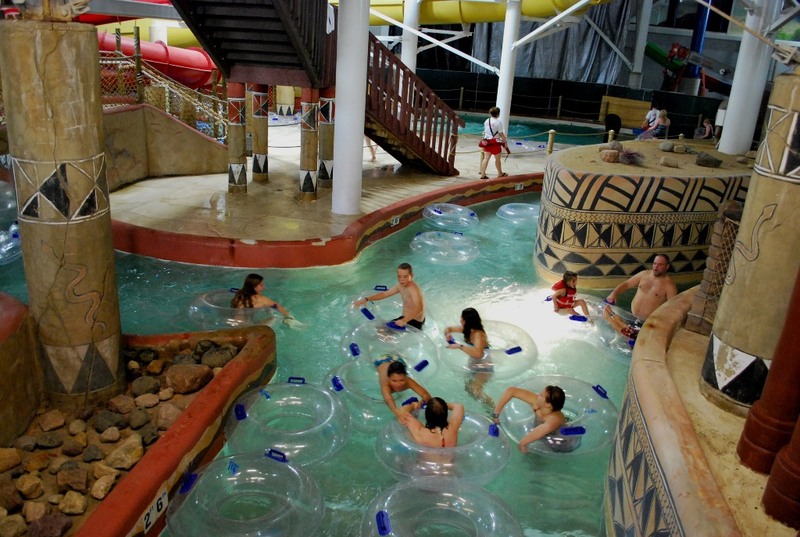 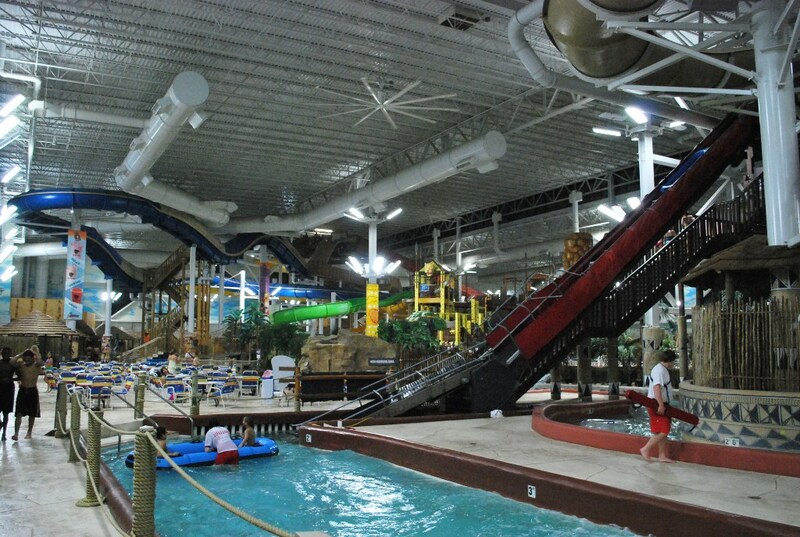 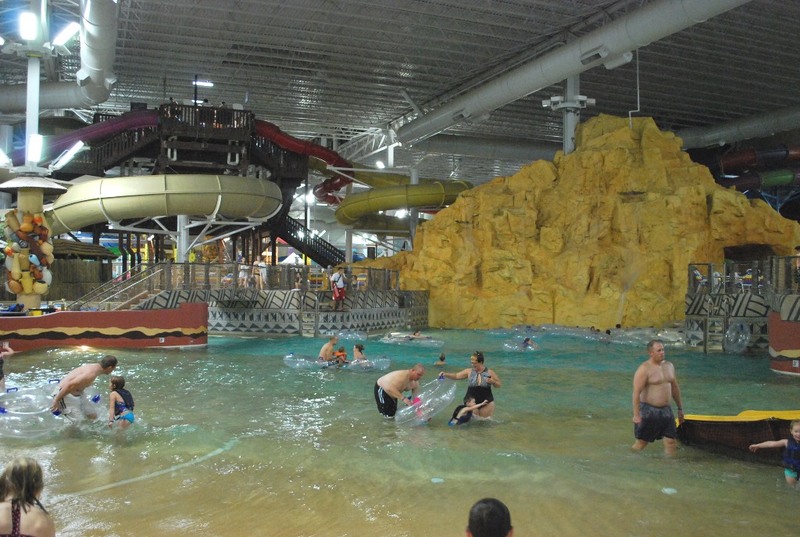 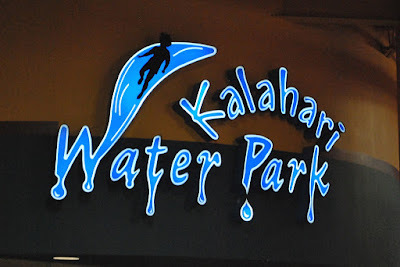 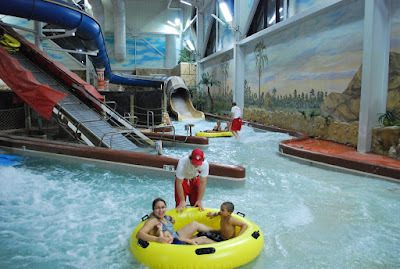 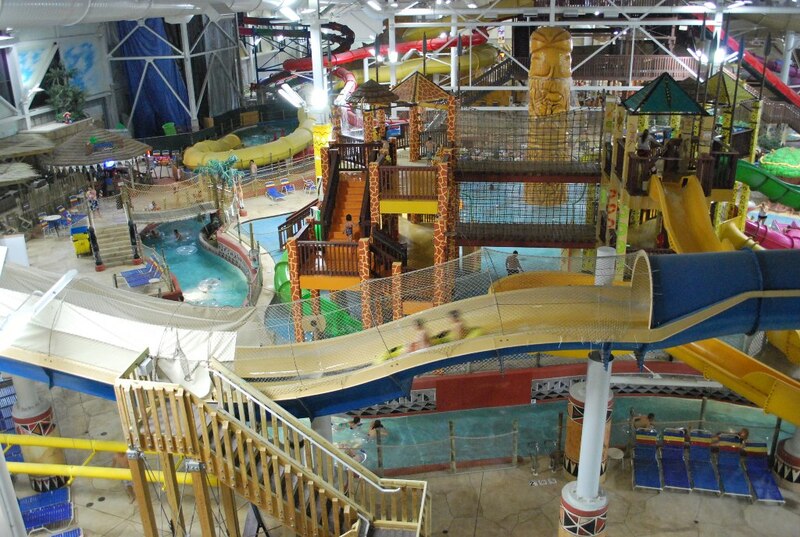 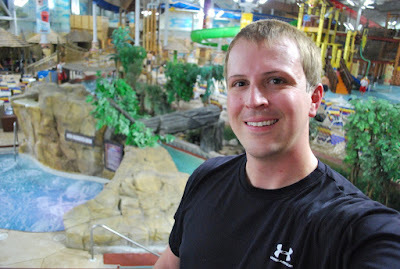 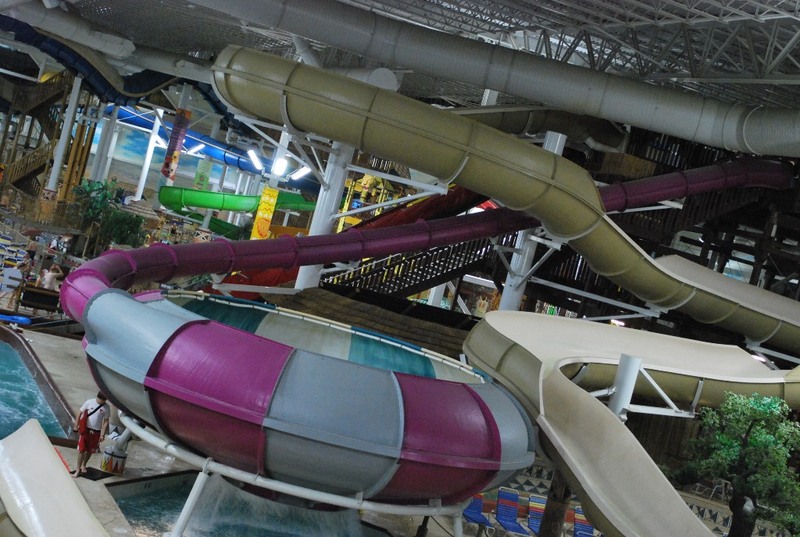 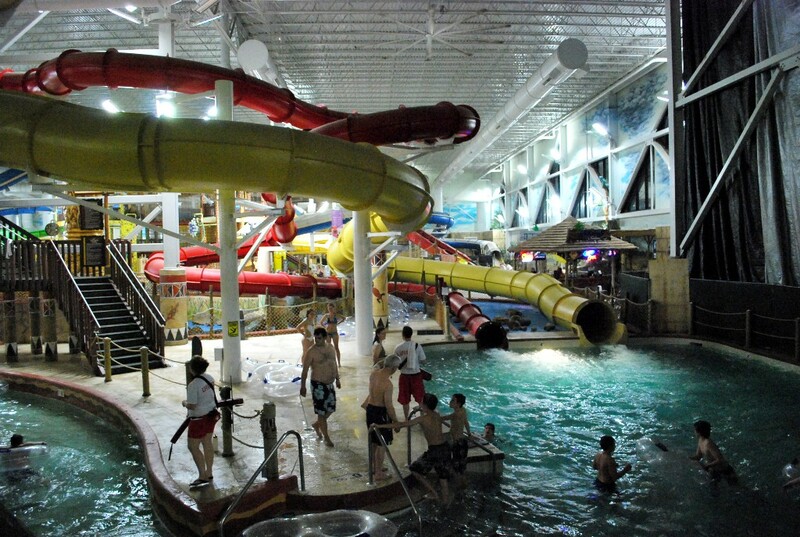 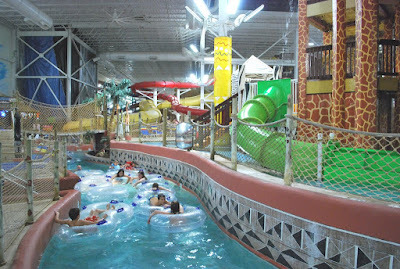 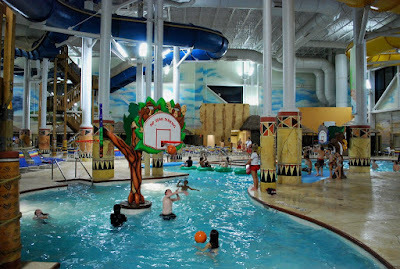 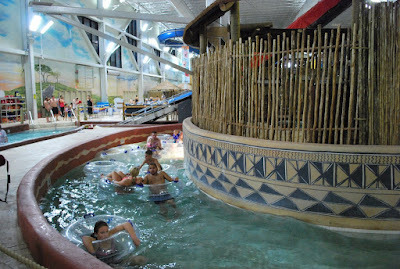 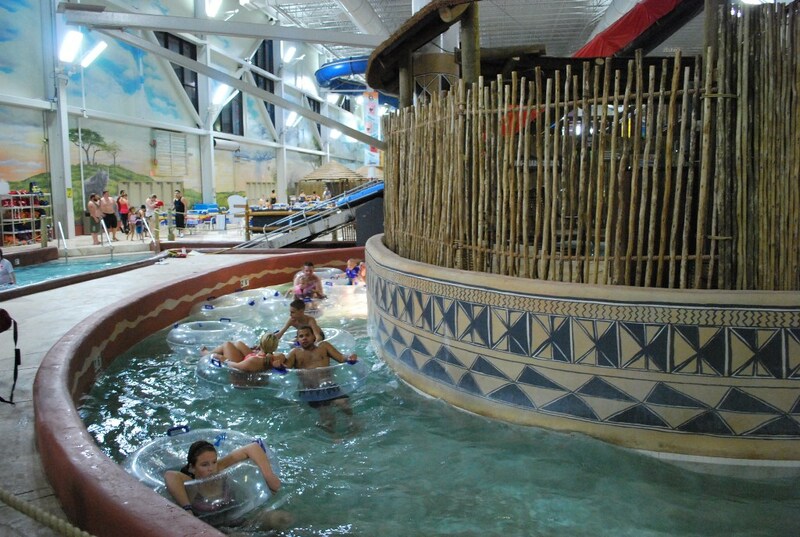 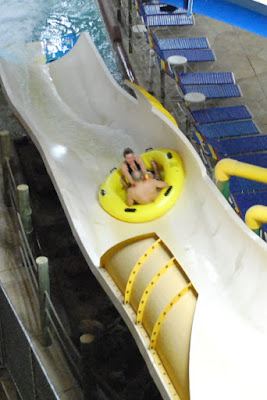 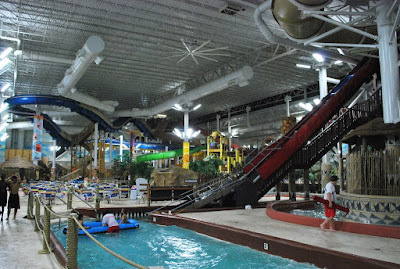 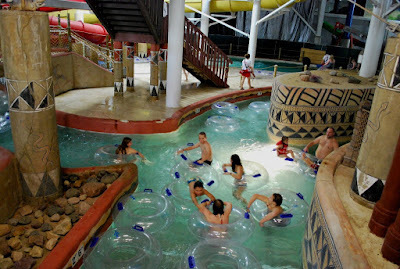 Kalahari is an amazing place!